Enlighten your senses by planning a cultural trip throughout the Palouse: visit a museum, enjoy a dance or music performance, or view an art gallery exhibit. During the summer, delve into the local art scene with a stroll through Art Walk, and in February, encompass your soul with global jazz sensations at the Lionel Hampton Jazz Festival. The Appaloosa Horse Museum is located in the heart of Palouse Country - home of the Appaloosa horse breed. The museum is a nonprofit organization established in 1975 to collect, preserve, study, and exhibit objects and information that illustrate the history of the Appaloosa horse. The museum's modern facility includes an exhibit area; a theater; a hands-on Kid's Area; a library and archive featuring books, magazines, videos; and the gift shop. Exhibit themes range from the early evidence of spotted horses in art and literature, to the relationship between the Appaloosa and the Nez Perce Indians, to the highlights of the modern Appaloosa Horse Club. Located in Uniontown, Washington, Artisans at the Dahmen Barn is a non-profit organization that cultivates creativity on the Palouse by providing studio space for working artists, a venue for local performing and exhibiting artists, and creative experiences for children and adults. The state-of-the-art facility has been transformed from a former dairy barn. Attractions include a gift shop featuring art, fine crafts and products from the Palouse. Artisans at work in their studio spaces will share their creative process with visitors. Essential Glass Works Gallery and Fine Gifts is located on upper Main Street and strives to bring the highest quality of artwork to the Palouse from the top artists across the country. Specializing in handmade fused and blown glass, tapestry, pottery, jewelry, and gourmet artisan chocolate, the gallery is sure to provide you something beautiful or delicious during your visit. Festival Dance and Performing Arts brings international professional dance and performing arts events to the area by presenting the only dance series between Seattle and Minneapolis, the Great Performances Series. The association also maintains the oldest dance academy in the Palouse and Valley regions, with studios serving the communities of Moscow, Genesee, Troy, Lewiston, and Lapwai. Festival Dance provides a large youth outreach program that helps youth in area communities by in-school dance presentations, Discover Dance, "field trips" dance performances and summer workshops and youth programs available. The Idaho Repertory Theatre, founded in 1953, is one of the Northwest's oldest professional summer theatre companies. IRT showcases the talent of highly skilled artists in musical, comedic, dramatic and Shakespearean performances. Summer theatre workshops are offered in cooperation with UI's Theatre Arts Department for high school students and K-12 teachers. This annual February traditions brings some 10,000 young musicians and collegians as well as internationally revered jazz artists to campus for four days of performances, workshops and world class evening concerts. The two-story house is a blend of Victorian, Queen Anne, and Eastlake styles. The rooms on the first floor have been restored to historic periods reflecting the house's history, from turn-of-the-century parlors to the 1930's kitchen. 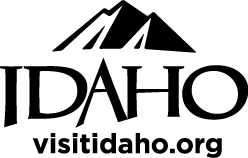 A friendly volunteer will give you a tour of the rooms and information about the house, Moscow, and Latah County. Upstairs are two exhibit areas that offer well researched and interpreted perspective on people, places, and events of Latah County. Headquartered at the Kenworthy Performing Arts Centre in Moscow, Idaho, they are dedicated to creating theatre that moves their audiences. Since its beginning in 2004, the Moscow Artwalk has become one of the many arts and cultural activities that help make Moscow a vibrant community. Participants are provided with a colorful brochure that directions them on a self-guided tour of the work of dozens of local and regional artists displayed in participating businesses. Moscow Artwalk opens in June and runs through August. The Moscow Community Theatre, founded in 1976 with local talent from the community and the universitites, features family dramas, comedies, and musical productions throughout the year. Located in Lewiston, Idaho, discover many of Palouse region's historical stories, battles and culture through the many photos and artifacts on display, plus hands-on activities for the young at heart. The Palouse Choral Society is a non-profit auditioned choir. You can enjoy performances from October through May in the Quad Cities as well as in the surrounding communities. Performances include a wide variety of music from the choral repertoire, including music from the Renaissance, Baroque and Classical periods, through to 20th century and contemporary choral works. In addition, an occasional concert may be devoted to other musical styles such as opera, pop, jazz or Broadway. Located in Pullman, Washington, the center promotes science, math and technology literacy through the use of educational programs, exhibits, teaching collections and activities emphasizing hands-on learning. The Palouse Harmony Chorus exists to spread joy and meaning through music, by signing (of course!) and also by supporting music education and appreciation in their home communities. They are a men's chorus and they sing mostly in the Barbershop style: a cappella, with close harmonies and interesting arrangements of classic and modern songs. This University of Idaho gallery is in downtown Moscow and serves the public with year-round rotating exhibition schedule. The gallery has included works by internationally famous artists as well as Northwest and regional artists. It is free and open to the public. The mission of Pullman Civic Theatre is to provide affordable, live entertainment for the community, and creative outlets and educational opportunities for theatre participants of all ages. You don't have to go to Broadway- Regional Theatre of the Palouse is here bringing you Broadway classics, revivals, premieres and award winning shows. The Third Street Gallery is on the second and third floors of Moscow's beautifully renovated and historic City Hall. The gallery exhibits the works of local and regional artists for the enjoyment of residents and visitors to the community. The Hartung Theatre of the University of Idaho campus offers performances throughout the year. The Mainstage Series, presented by the UI theatre Arts Department, features dramas, comedies and musicals. Each summer, the Hartung houses Idaho Repertory Theatre (see listing). The Washington Idaho Symphony formed in 1971 and developed into a premium orchestra that brings classical and contemporary symphonic music to the Palouse. Participating performers are local residents from eastern Washington and North Central Idaho. Wild at Art is a contemporary, paint your own pottery studio and artistic activity center. Formed in 2011 by President Elson S. Floyd, it promotes cultural and artistic connections for students, staff, faculty, residents and visitors to WSU, Pullman and the Palouse, through the presentation of world-class theatre, music, and performance art. Presenting programs in the Jones and Wadleigh Tehatres in Daggy Hall, WSUPA is responsible for facility administration, technical labor, staffing, business and fiduciary oversight of these two venues.